Claudia is our new receptionist starting with us in early 2018. She is the new face of our office, greeting all clients with a smile and her bubbly personality. Claudia is currently studying a Certificate 3 in Business Administration (Legal). In previous years, Claudia has completed a Certificate 2 in Business, where she realised, that it was the career path she wanted to follow. 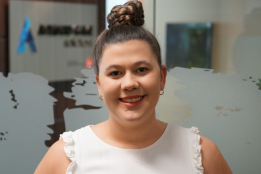 Claudia’s interest in law began with grade 11 and 12 Legal Studies. Claudia looks forward to working with the team at Aylward Game to further her career and work towards the completion of her certificate.